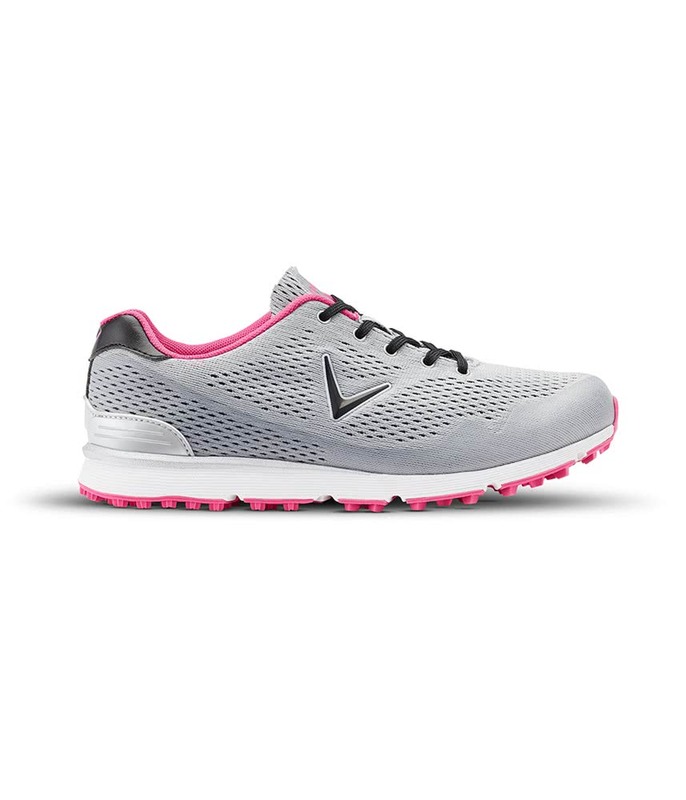 The Callaway ladies Solaire golf shoes feature an athletic, lightweight mesh design that is perfect for those hot summer months. Callaway have used their performance Opti-vent mesh upper and treated it will storm guard to provide a water-resistant finish. The shoe will not protect you during a downpour but if the ground is wet (and as long as you don’t jump in puddles) you’re feet will stay dry. Their Opti-vent mesh liner has been used to provide excellent breathable and moisture-wicking performance in the heat. 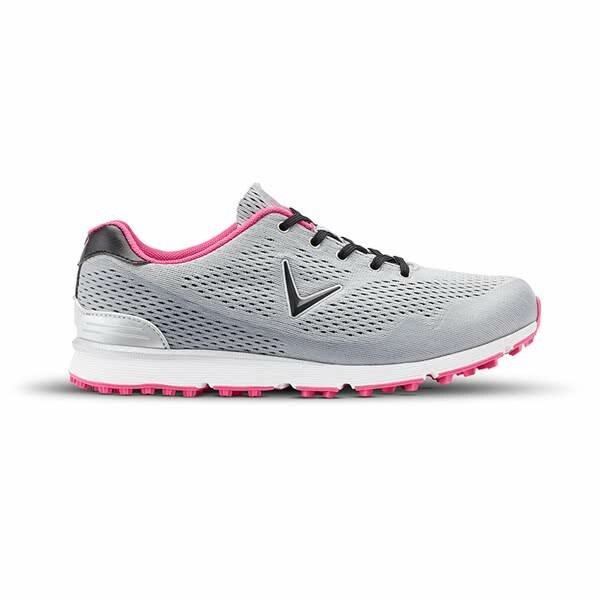 Callaway have used a combination of their Opti-soft EVA midsole and their Force-flex dura-rubber spikeless design to provide enhanced walking comfort without sacrificing grip, traction and stability.